When will be The Last Alaskans: Land of the Free next episode air date? Is The Last Alaskans: Land of the Free renewed or cancelled? Where to countdown The Last Alaskans: Land of the Free air dates? Is The Last Alaskans: Land of the Free worth watching? The Last Alaskans: Land of the Free is a series that airs Extended Enhanced Episodes with extra information and unseen footage from the show "The Last Alaskans" that also airs on the Discovery Channel. The Seldens bask in the glory of a major triumph; Bob battles loneliness after Talicia's departure; the Korths rush to finish their cabin. Featuring added facts and bonus content - Bob faces a hard truth about his future. Heimo's family hunts for caribou and the Seldens work to pull in a winter's supply of salmon but a bear threatens to stop them in their tracks. Preparations begin for another winter on the trapline; Heimo and Edna roll out the red carpet for their youngest daughter, Krinn, and new grandson, Colby. 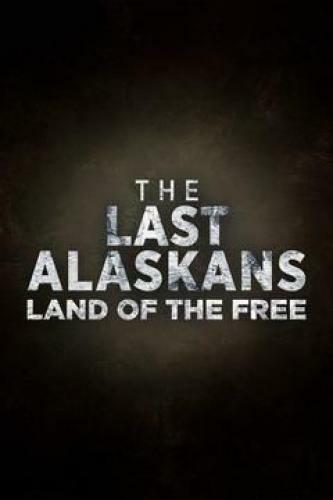 The Last Alaskans: Land of the Free next episode air date provides TVMaze for you. EpisoDate.com is your TV show guide to Countdown The Last Alaskans: Land of the Free Episode Air Dates and to stay in touch with The Last Alaskans: Land of the Free next episode Air Date and your others favorite TV Shows. Add the shows you like to a "Watchlist" and let the site take it from there.